This book walked right into the dusty corners of my life and swept out an amazing amount of discontentment. The entire work is straightforward, Biblically based, and incredibly convicting. The research and stories that intertwine with the lessons are incredibly captivating. This book is a game changer on this topic. In the early chapters of the book, the author states, “Christian contentment is heart work, deep and interior.” Throughout the book, Davis walks His readers through just that …some deep heart work! This book was well organized and wonderfully written. I was left convicted to pray daily for God to reveal any areas of discontentment in my life, as this book sparked vast growth in my heart on the topic. 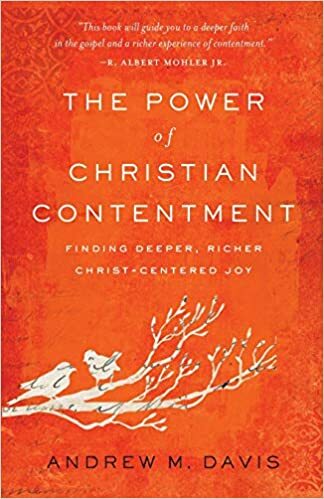 I highly recommend this book to anyone looking to more about what Christian contentment is, and how we can do this characteristic justice in our lives. Click here to purchase your copy of The Power of Christian Contentment.